Our newly-converted premises are located on West Vale, off the main road between Neston and Little Neston, and offer a wide range of facilities to provide a high level of care for your pets. We believe that preventative treatment should be a large part of caring for pets; we are able to provide a wide range of advice and treatments for your pets in the hope that this will help to protect them against future problems. It is our aim to provide an excellent level of veterinary care to all our patients, and our small veterinary team means that we can guarantee a continuity of care for your pets. 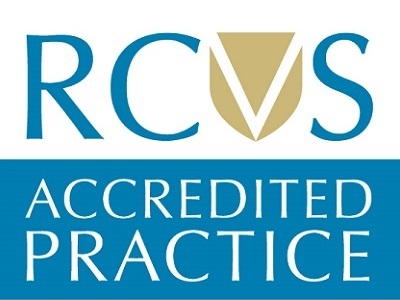 We are a Royal College of Veterinary Surgeons Small Animal GP accredited practice, meaning we have attained a high standard of veterinary care. The GP level is the top standard for a first opinion practice! Only a veterinary hospital can achieve higher.